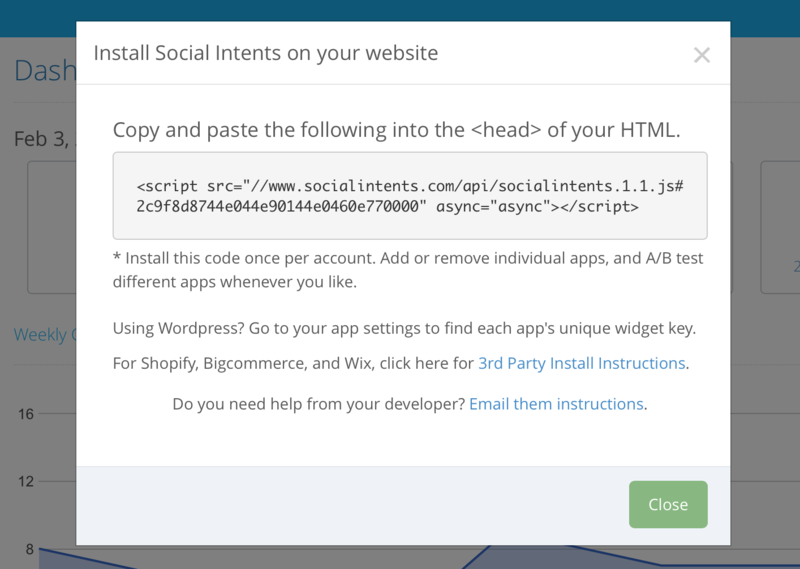 Installing Social Intents requires cutting and pasting the code snippet from the "Install Code" link in your Social Intents dashboard. Once you are logged in, copy and paste this code into whichever pages of your website you'd like to trigger your campaigns. For WordPress, Bigcommerce, Shopify and Wix, we have plugins and apps you can use (see below for links). Open your web-page in a text editor (i.e. TextEdit, Notepad). Paste the Social Intents code anywhere in the web-page's HTML source. We recommend placing it in your <head> tag. Save your modified web page.